At Apple’s September event it unveiled the new iPhone 6S and 6S Plus, a new Apple TV and also officially launched OS X El Capitan and iOS 9. 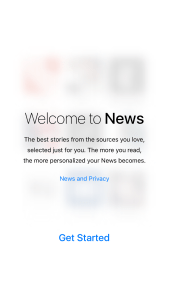 As part of iOS 9, Apple introduced a new app called ‘News’ which basically gives you your news feed on a variety of topics from multiple sources (Kind of like clipboard). However, Apple News is currently available only in the US which means those outside the US will not be able to experience such a useful app. Eventually it will come to your country but we never know when. Head over to your settings on your iOS device > Go to ‘General‘ > Click on ‘Language or Region‘ and change the region from ‘[Your Location]’ to ‘United States‘. Once you do this, you will be prompted to change your ‘iPhone Language‘ from your current one to ‘English (U.S.)‘, you will have to select ‘Change language…” rather than keep the default language. Once you complete, the iOS device will prepare your device to the US format and you will see that the Apple News icon will now appear on your menu. You can go ahead and set it up and select all the topics of your interest and your favourite sources and your good to go. 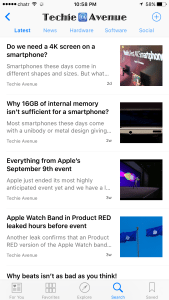 By the way, Techie Avenue is on Apple News too! To follow, simply click on the search menu and type ‘Techie Avenue’ and once you land on our page, click the ‘follow’ or ‘+’.